As an IT staffing firm we review our fair share of resumes. Our clients depend on us to find them, screen them and present the ones we’ve deemed sufficiently qualified for their open job opportunities. So, in doing so, we see a good mix of what works on a resume on what does not. In this blog, we’ll be taking a look at what not to do when writing your resume while examining the common errors and mistakes that candidates routinely make which are costing them both opportunity and money. 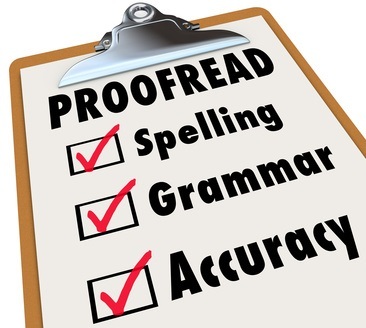 Spelling Errors – If you’re writing your resume in Word, do yourself a favor and press F7 upon completion. This is Microsoft’s shortcut to conduct both spelling and grammar checks. You wouldn’t believe the amount of resumes we review that include spelling errors and typos. While small, these can be particularly damaging because they convey to the employer that the applicant lacks an attention to detail. So please, proofread your resume multiple times before sending it out. It can also be beneficial to have someone else review it as well. Grammatical Errors – Much like spelling errors, grammatical errors also convey a lack of attention to detail but are much worse than a simple typo. These convey a lack of understanding of the English language. There’s a difference between there, their, and they’re. To is not the same as too or even two! While a past experience may have affected your outlook it did not effect it. Then is usually used to indicate time, than is used to make comparisons. Paying attention to your commas, periods and tense could mean the difference between a job interview and never hearing back. Photographs/Logos – Unless you’re the one who has designed the logo and are applying for a graphical design position, there’s really no need for logos or personal photographs on your resume. They take up space and serve no reasonable purpose. Non-traditional Fonts – The goal of a resume is ease-of-reading. For this, stick to Times New Roman, Calibri or Arial fonts as most professional documents are written in these. Leave the Papyrus, Amethyst and Montague fonts for birthday and wedding invitations. Missing Information – This speaks more to individuals with unemployment gaps on their resume. However, with how the job market has been these past few years it remains quite relevant. If you stay consistent throughout your resume with regards to periods of employment (ex. Associate Business Analyst at JPMC, April 2011 – December 2011; BA at WSFS, January 2012 – September 2012) but remain fairly vague on others (ex. Project Manager at Bank of America, 2013), that’ll raise red flags. Be honest and confident when explaining unemployment periods. There are sure to be classes, certifications and/or other skills you may have picked up during that time which could prove useful. Mention those. Honesty goes a long way. Avoid Identical Job Descriptions – We’ve been doing this long enough to know that the job description for a Java Developer working at Bank of America is going to be very similar to that of a Java Developer working at Chase Bank (hypothetically speaking). However, never should two separate roles on your resume have identical job descriptions. Not only does this look lazy but it also calls into question if you were the one actually doing the work. Remember to avoid raising red flags at all costs. Job Description Formatting – Last but certainly not least, please bullet point the job descriptions on your resume. Studies have shown that most hiring manager’s spend as little as 20 seconds reviewing resumes so having them in a bullet pointed format simply makes them easier to read. A resume should be a snapshot of your professional working career, not your autobiography. While unfortunately all too common, these simple errors and mistakes are all easily avoidable. When writing your resume, keep it clear, avoid flash, and remember to proofread! What other common mistakes do people make when writing their resumes?